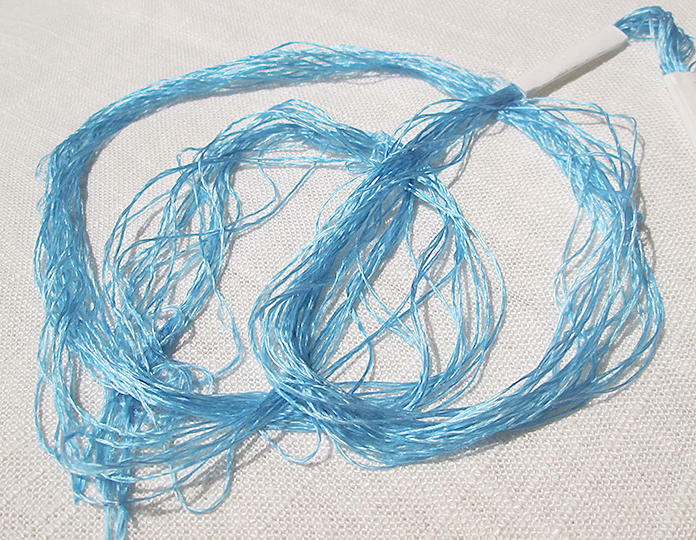 I have hand dyed this filament silk embroidery floss that has a brilliant sheen a bright sky blue color. 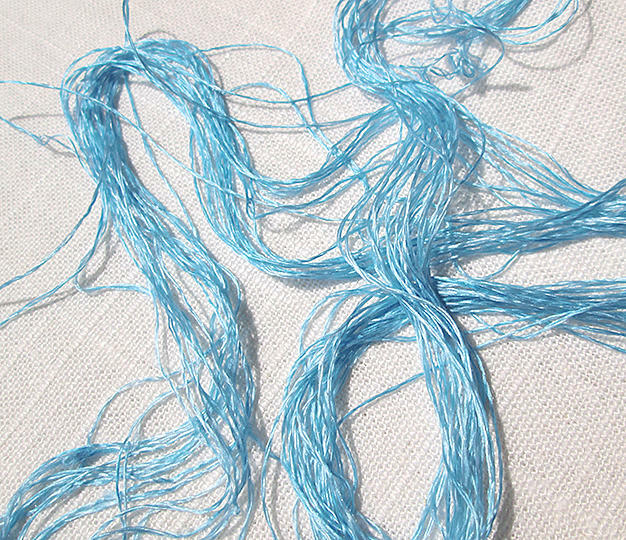 It is a loosely twisted two-ply silk with a thickness equivalent to one strand of DMC cotton embroidery floss. 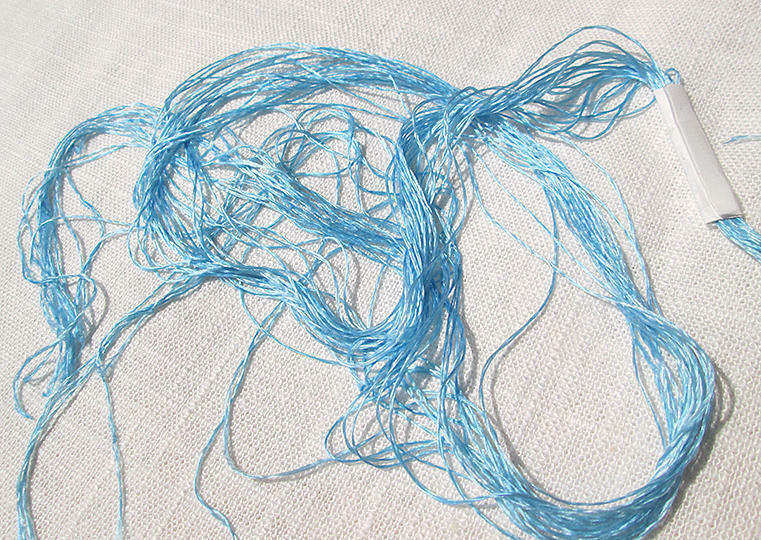 You will receive 20 cut strands, each strand being one yard long, for a total of 20 yards. Note that silk floss can snag or catch very easily on rough skin. For additional information about color, photography and obtaining swatches of my fabrics, please see "Silk & Wool Information" at the bottom of my website. Your silk floss will be carefully packed, wrapped in plastic and shipped first class mail with tracking. I do combine shipping cost, so you can save money on shipping by purchasing additional items at the same time.